TEMPLE CITY, CA - January 8, 2003 - Keenspot Entertainment, the most popular publisher of original online comics, has announced the creation of A-BOMB, their all-new, full color line of superheroic sci-fi/fantasy comic books written and drawn by the best undiscovered talent in comics. 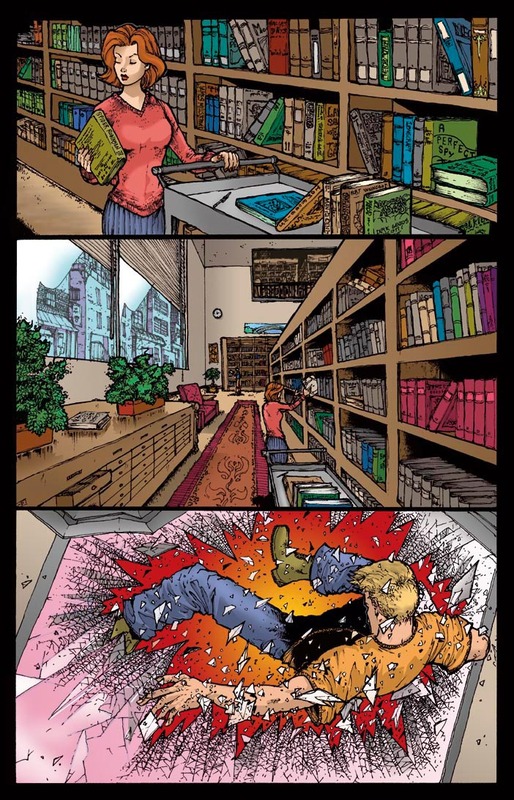 A-BOMB explodes onto the scene on Free Comic Book Day (May 3, 2003) with LANDIS #0, a 32-page full color comic book containing an original, self-contained prelude to an ongoing monthly series beginning in July 2003. A-BOMB's second title, THE GOODS, will be briefly previewed in LANDIS #0 and will debut as a monthly series in fall 2003. "There's not enough newness in the comic book industry lately," said Keenspot Co-CEO and A-BOMB Editor-In-Chief Chris Crosby. "Rehashing the same decades-old concepts can be fine and dandy, but EVERY book on the shelves can't be a 're-imagining' of something Stan Lee dreamt up one afternoon 40 years ago. We need some new characters, new concepts, new icons. We at A-BOMB plan to bring you comic book icons created for this very millennium that we're living in now, and by that I don't mean 'hip' comics about slang-speaking teenagers who wear sunglasses and design websites while being thrown into 40-year old plots written by 40-year olds guys that are about as hip as something on the Disney Channel. I'm talkin' about icons that the little babies of today will be rehashing 40 years from now, probably either in hologram form or ingested as a pill!" 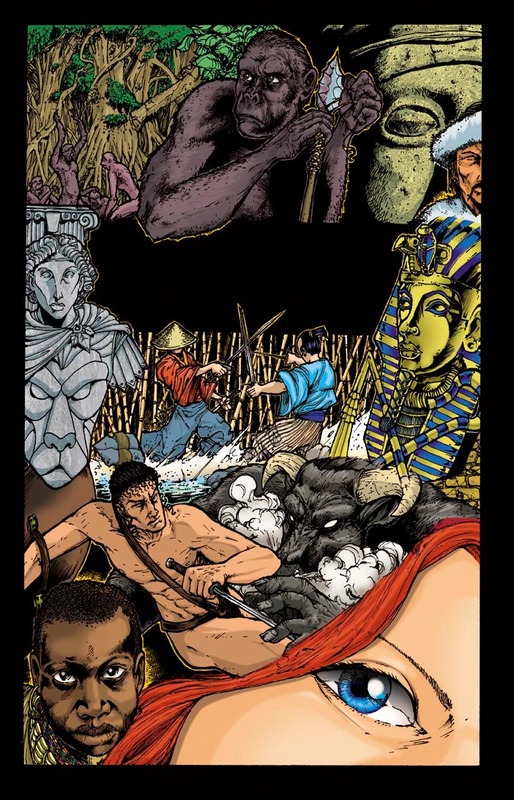 LANDIS chronicles the saga of the Everlasting, a group of outcast immortals attempting either humanity or supremacy. The spotlight shines on one particular beneficiary of the Everlasting, a 700-year old woman named Elisa Landis, who is obsessed with finding a mythical artifact. She's aided on her journeys by fellow immortal Janus Tagger and a yellow-skinned, big-nosed alien being named Ardy Vanstarr. 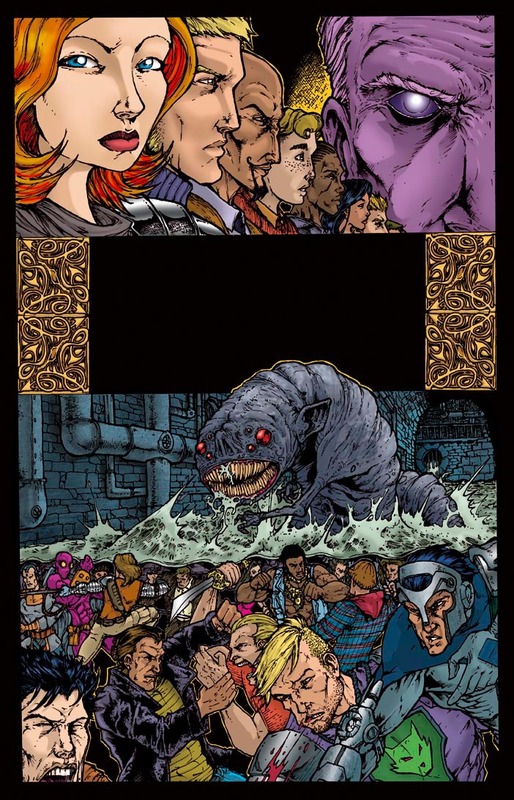 The series, including the #0 issue, is written and created by Rob Potchak Jr., illustrated by Owen Gieni, and digitally colored by Studio MAKMA. Gieni describes the series as "part Highlander, part Buffy. It's just full-on fun stuff, fun to draw and I think it should be fun to read, as well. Readers can expect to see a monthly book that is consistently the very best effort of all of us involved. Comics by guys who love comics, and are doing this for no other reason than that." Said Potchak, "There are enough characters to fall in love with, to want to read more about, and yes, a decapitation or two just to keep the suspense level up. Mix that with a little mythology, a little supernatural, a little superheroey, and what you come up with is a totally different universe that is bound to make people want to read more...and hopefully they'll want to see where the ride takes us." "Owen Gieni is the worlds best undiscovered artist," said Potchak. "A true diamond in the rough. His attempts at detail rival George Perez, and his women do the same. He really has grabbed hold of this creation and made it blend beautifully." Studio MAKMA's Edmond Tourriol said "Owen's art is great. 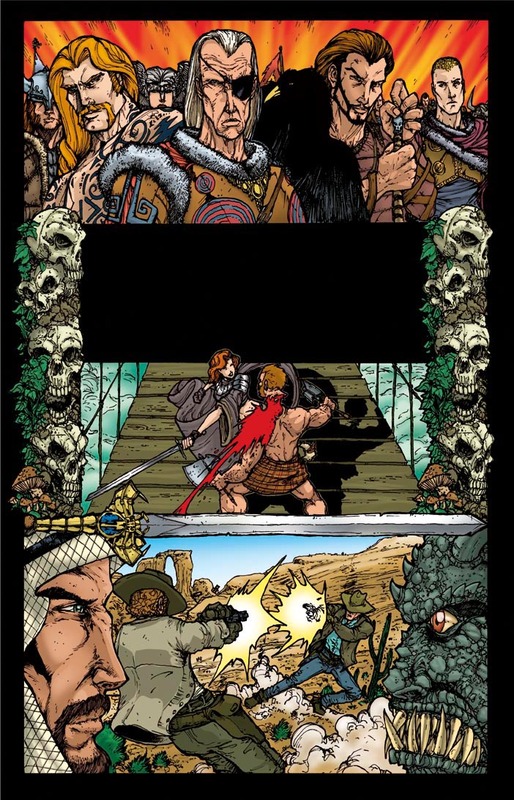 His art is fast-paced and his storytelling is efficient. What else can you ask for? I don't understand why Chris asked us to do the colors. This guy doesn't need them to look great!" "We are scientifically combining the strengths of every major comic book company into the A-BOMB line, virtually guaranteeing that it shall be the bestest comic book company ever," said Crosby. "We will deliver the character-driven stories and colorful fun of Marvel, the old-fashioned values and decency of DC, the respect for creator rights of Image, the consistency of Crossgen, the diverse ideas of Dark Horse, and the love of Archie. The A-BOMB boom is rocketing your way May 2003. Be there or be not blown away, by both the comics goodness and the explosion of promotional metaphor." LANDIS #0 will be given away free at participating Free Comic Book Day retailers on May 3, 2003. The LANDIS monthly series begins in July 2003, with a first issue alternate cover by NEW X-MEN artist Ethan Van Sciver. A-BOMB's second title, THE GOODS, debuts in the fall. LANDIS preview pages and more about A-BOMB can be viewed at http://www.keenspot.com/comicbooks/a-bomb. 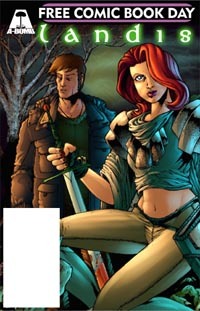 Based in Temple City, CA, Keenspot Entertainment (http://www.keenspot.com) is a multimedia entertainment company that publishes the work of thousands of comics creators. Keenspot.com, the company's central website tying together 40+ exclusive free webcomics comprising more than 30,000 pages of exclusive comics content, generates over 50 million pageviews and attracts more than 2 million unique visitors each month. Almost 1,000 members have subscribed to Keenspot PREMIUM, a $4.95-a-month service that removes all ads from Keenspot sites and offers exclusive features. Keenspot's print comic-book publishing division has published 26 titles (including 2 paperback book collections) since launching in July 2001. Keenspace.com, Keenspot's free webhosting service for aspiring cartoonists, hosts over 6,000 independent webcomics. FOUR-PAGE PREVIEW OF LANDIS #1!